In Part 1 of the "What is a PRL?" series we covered the the initial basics and building blocks of the PRL which covered the 1X portion of the wireless connection. I encourage you to read the article if you have not already done so. You may have seen the various claims of receiving faster or even slower speeds with the mysterious PRL update procedure that seems to randomly happen to our devices. In reality it could be possible that nothing changed in regards to EVDO at all in the PRL. After a PRL update is applied to the device, whether it is pushed from Sprint or user initiated, the CDMA radio will reset just like when airplane mode is cycled on and off. This causes the device to reacquire with the network which could change the site and/or channel the device was using previously. AJ wrote an excellent article, "Can toggling airplane mode actually improve your 3G data speeds?" explaining the EVDO acquisition process. With all that being said let's jump right in and look at a small piece of the PRL to determine how a device connects to the EVDO network. In a mock scenario, the device scanned and did not find signal for the SIDs 22443, 22430, etc but was able to acquire 4159. The device will then check to see if any data records are associated with the connection. The assn tag field for 4159 is a 5. Any records inside this one geo block are checked for the assn tag of 5. In some Sprint PRL versions, the creators have failed to place the EVDO record in the correct geo creating a type of orphaned EVDO record issue, but this is not the case with this example. Record #279 has an assn tag match for the value of 5. The record is analyzed and it is determined that the device will use acquisition record #59 with a 0084:0AC0 subnet and no roaming indicator. If no EVDO signal can be found in the area with this search criteria, the device will fall back to using 1X for data and periodically scan for EVDO. The EVDO subnet is very similar to a SID, but since it is a 128 bit address scheme it offers more combinations than a SID. If needed, the provider could actually assign different priorities to individual sectors of one cell site using the subnet IDs. You may have already noticed multiple SIDs in this block share the assn tag of 5 along with the same acquisition records. The PRL is designed like a relational database where redundant data is shared to save space. So, how does the device know which channels to scan for EVDO? Let's look at the acquisition records of 2 and 59 used by SID 4159. The PCS band channels 50, 75, 100, 175, 200, 250, and 25 are used to scan for SID 4159 1X. These are not the only channels that you device will actually use. These are only used to acquire the initial CDMA handshake. The basestation of the site may direct the handset to rest on channel 25 but during an active phone call channel 150 might be used if the other available channels are at capacity. For EVDO, the device will scan 75, 175, 225, and 250 with a subnet of 0084:0AC0. If another carrier's EVDO signal happens to be on one of these channels it will be ignored as the subnets do not match. Just like on the 1X side and explained in AJ's EVDO article referenced above, the channel scan is only utilized for the initial EVDO handshake. The cell site may have a channel available that is not on the PRL list, which your device could end up using based on the basestation configuration. After attempting to digest all of this material you can see how the new PRL file itself is usually not why the speeds decreased or increased. If the spectrum licenses allowed for it in the area, Sprint could add an additional EVDO carrier channel of 300 to all of the neighboring sites and all of the handsets will be able to use it. The users in this area would probably see faster speeds due to this without a single PRL update. How does EVDO roaming work? In this example the device is connected to SID 4160 which is Verizon Wireless. Using the same analysis explained above, we see a data record of 5 is assigned. "Wait! I thought Sprint used data record 5 already?" This is correct. While your device is roaming on 4160 for 1X connectivity it is also scanning for Sprint EVDO. 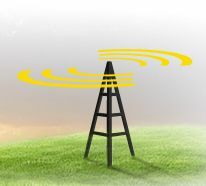 In order to save on roaming costs, Sprint has designed the PRLs this way. One negative impact on the user is additional battery drain due to this scan combined with the already active scan to find a non-roaming 1X signal. In the standard PRL for residential accounts, EVDO roaming on Verizon Wireless is not allowed. You will only find EVDO roaming on smaller regional CDMA carriers in some areas. On certain corporate accounts, Sprint configures devices with PRLs allowing Verizon Wireless EVDO roaming. While roaming, whether it be 1X or EVDO, the Sprint Terms & Conditions state: "Sprint reserves the right, without notice, to deny, terminate, modify, disconnect or suspend service if off-network usage in a month exceeds: (1) voice: 800 min. or a majority of minutes; or (2) data: 300 megabytes or a majority of kilobytes." Stay tuned for part 3 of the “What is a PRL?” series. We will cover the 800SMR SIDS, 800SMR acquisition records, and the coveted MCC/MNC LTE records shown in the PRL screen shots above. Previous entry "What's the frequency, Kenneth?" Interpreting your engineering screen. Part two. Thanks Travis for writing this article. I look forward to reading more on Part 3 of this series. Staff writers are a relatively small group, and we have been busy with other endeavors this summer. Trust me, Robert, Travis, and I would like to write many more articles, but we all have jobs and obligations outside of the wireless industry, not to mention, daily duties in The Forums. S4GRU is really just a labor of love, and each article requires at least several hours of research and composition. If S4GRU ever grows its sponsorship or funding enough to allow for paid staff, then you can count on more frequent articles. As we head into the fall, though, we do have some article ideas to get The Wall back up and running.